Pilot Assist Pro™ is a fantastic iOS app, designed for use in pilots in General Aviation – it brings all the resources a pilot needs (checklists, charts, weather reports and more) directly to their iPad or iPhone in the cockpit. The app itself was designed by the good folk at Jet Express Technologies, and they required a website to support their product. 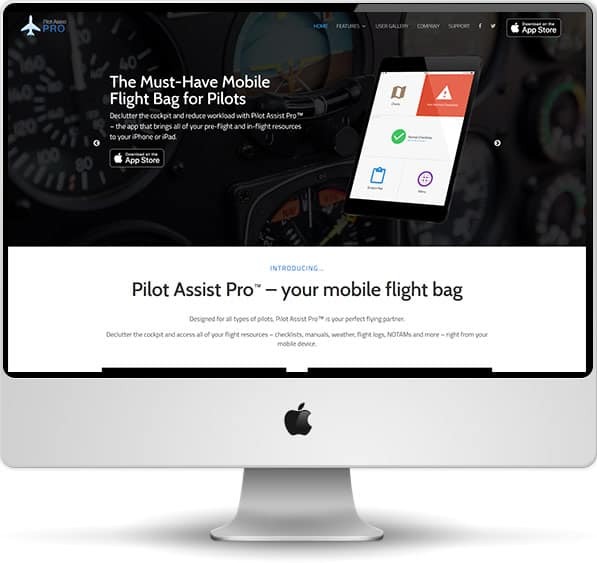 The Pilot Assist Pro™ website is a responsive, custom design based on our CMS (Content Management System) product. You can see the Pilot Assist Pro™ website here.